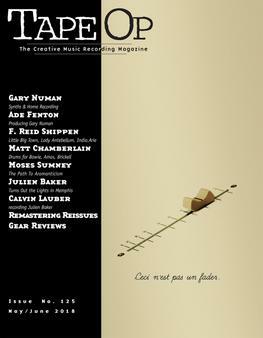 Read Tape Op #67 | Tape Op Magazine | Longform candid interviews with music producers and audio engineers covering mixing, mastering, recording and music production. 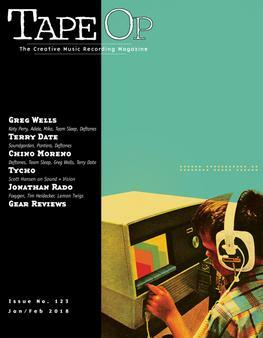 Welcome to issue #67 of Tape Op. 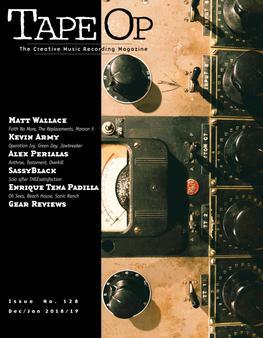 I'd like to mention all the other things going on around me, outside of "simply" editing Tape Op magazine. For one, I had a long return visit to my former home of Portland, OR, beginning with three weeks of recording without much of a break. It's always good to jump back in like this, and it keeps my mind revving about the recording process — even if I get behind in my editor duties. The sessions were fun and very different from each other in style and execution. I found myself spending part of my time in the studio keeping notes on how Jackpot! 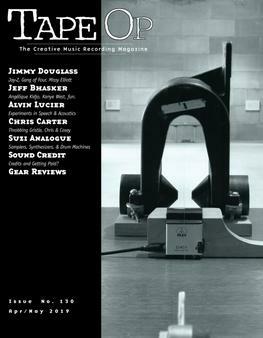 Recording could be better and even more efficient. I assume everyone does this continually. Right? 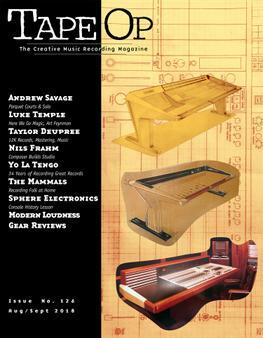 I also made plans for the purchase of a new console — the biggest single gear purchase of my career. 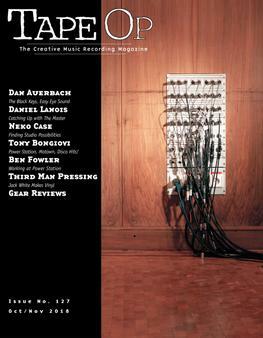 I did a book reading/signing for Tape Op: The Book about Creative Music Recording, Vol. II at Powell's Books in Portland. Long time contributor Leigh Marble performed some of his fine songs as well. This was the first time I'd ever done one of these! Crazy. Thanks again to Kevin Sampsell for inviting me. 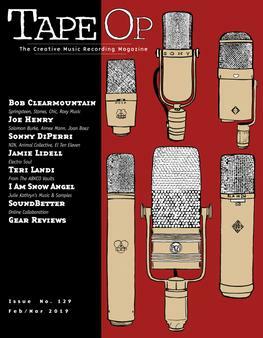 I traveled to music events in September — Bumbershoot in Seattle, WA, and the Camper Van Beethoven Camp Out in Pioneertown, CA (near Joshua Tree, see issue #63). 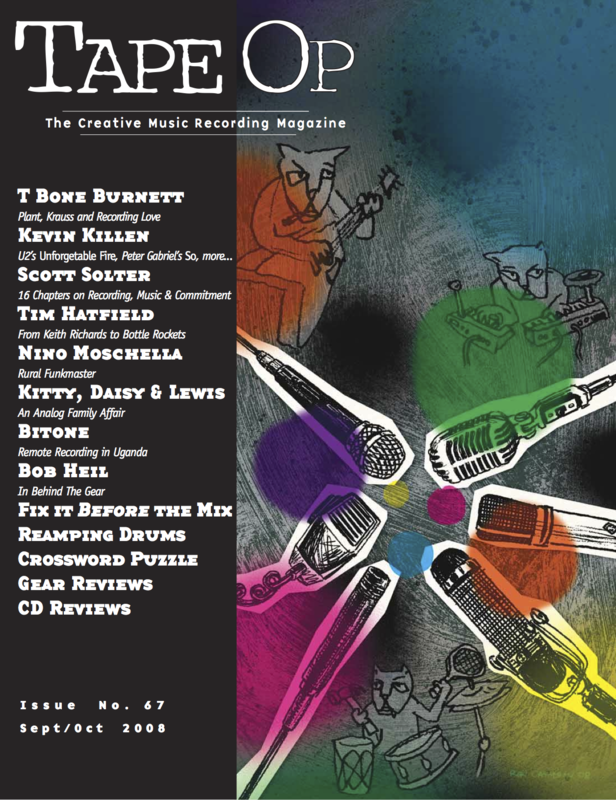 Live music is still one of my favorite things to experience — see T Bone Burnett's thoughts on the same subject in this issue as well. Part of my time has been spent filling up Tape Op's entry into the blog world, Tape Log: tapeop.com/tapelog. It's nice to have an outlet for odds and ends, thoughts, travel stories, article additions and other fun items. Check it out and post a comment if you wish. 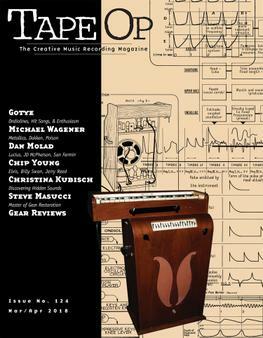 I hope you enjoy this issue, and thanks so much for taking the time to read our magazine. Correction: Matthew Nistor took the fine photo of Adam Franklin last issue. We're sorry to have misplaced his credit for this. We'll try to be more careful in the future.